Were You the Recipient of a Defective Knee Replacement? We Can Help. Your joints are a very important part of your body, especially your knees because they play a vital part of how mobile you are. If one of your knees isn’t working properly, you may not be able to participate in your favorite activities, work as usual, or even move around the way you’d like to. Having your knee replaced can help ease the pain of a failing knee joint, but when the replacement knee is defective, it can result in even more pain than what you had before the surgery. If you had knee replacement surgery and received a knee replacement that was defective, you may be entitled to a personal injury claim due to your pain and suffering. A personal injury lawsuit could obtain monetary compensation for your suffering, but also for any lost wages, medical expenses, and much more. An experienced personal injury attorney can help you determine if your situation is appropriate for such a claim. Because your knee is such an important part of your body, having a defective knee replacement device can result in further damage to your knee. This can cause even more problems than what you started out with before surgery. Defective knee replacements may result in infections, complications when trying to get a second knee replacement, and reduced mobility. 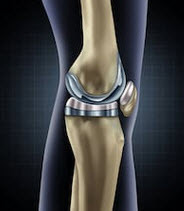 Having a defective knee replacement device can also result in long-term medical treatment such as physical therapy, expensive anti-inflammatory drugs, and more. All of these expenses can be addressed in a product liability claim. Zimmer Manufacturing creates a variety of knee replacement products including NexGenFlex and NexGen. The NexGen Flex was implemented and created without first performing clinic trials. This resulted in some of the patients needing complicated surgical procedures to replace the faulty knee replacements. If you are one of the people that has suffered due to a defective knee replacement or other medical device, the attorneys at the Leifer Law Firm can help you. We will seek compensation from the knee replacement manufacturer for creating a faulty product. We will work relentlessly to help pursue the maximum compensation available to you. Like all personal injury claims, there is a statute of limitations, or time frame in which you can file your claim, so speaking to an attorney as quickly as possible is imperative. Contact us today to schedule a free and confidential consultation.